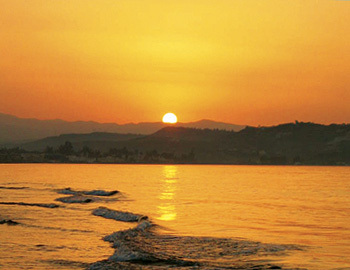 4 WAYS you can take full advantage of purchasing land from Cretan Life. to invest that are designed to suit individual requirements and preferences. Buying land with planning permission is rather like buying gold. Once you own it, you don t have to actually do anything with it - other than wait for it to appreciate in value, and decide when to sell and take the profit. Better still, if you purchase one of the larger plots from Cretan Life you can sub-divide it into smaller plots to give you the option of selling some to take a profit, and retaining the others to maintain your long term investment. Cretan Life s land buying track record has yielded significant gains for our clients when measured against sales value and bank valuations. You might want to own a newly-built property on Crete - to generate a rental income, either as a holiday home or apartments, or as somewhere to retire to in the future. 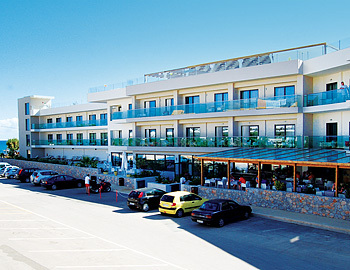 All are attractive options, but why buy from a developer when you could save yourself a small fortune with the alternative offered by Cretan Life? Just think about it. Developers buy land, hire a builder and pay construction costs . . . then add a big profit margin before offering a property for sale. Yet if you purchase land from Cretan Life you could save thousands by cutting out the developer, and we will help you with the construction at every stage. If you have a UK pension fund you could use it to purchase land in Crete and make your money work harder to achieve a higher return than other investments. To do so, it s simply a matter of converting your existing pension into a SIPP (Self Invested Pension Plan). Nearly all the normal tax breaks associated with your pension will still apply - and assets grow free of UK income and Capital Gains Tax. SIPPs are currently the fastest growing pension vehicles in the market place and forecasts indicate they may well become the mainstream product in UK pensions in the near future. Given the poor performance of conventional pension funds, land with planning permission offers a highly attractive proposition. We can recommend a UK based IFA - please enquire. The Cretan Life Land Fund was established in response to market demand for a way to invest in land without direct ownership - something not normally offered through traditional property fund portfolios. It has set a target return in excess of 12% per annum, with a 5-7 year investment term to maximise prevailing market opportunities and conditions. The Cretan Life Land Fund is a UK Limited Partnership Collective Investment Scheme - and allows investment from UK and overseas investors (minimum investment 20,000 GBP). Full details are available on request. 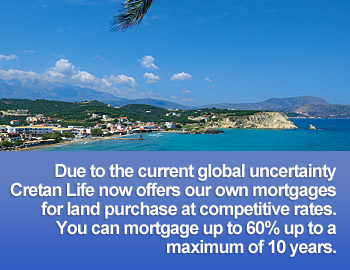 Cretan Life is the General Partner of the fund, and has a proven track record of profitable land acquisition and sales. 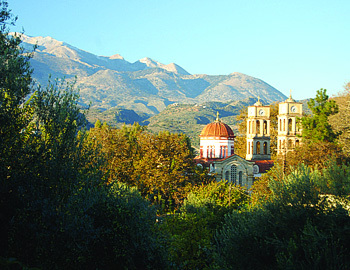 The Cretan Life Land Fund is operated by Acorn Corporate finance Ltd and regulated by the Financial Services Authority.